The biggest financial decision most people will make in their lifetime is purchasing a home. Buying a home involves a long-term commitment both financially and emotionally, but it can also be very exciting and rewarding! When buying a home in Vicksburg or Warren county, or anywhere for that matter, there are many things to consider before and during the process. Here are 10 steps to help you along your way while buying a new home. Step 1. Start with your credit. Unless you are able to pay cash for your home, most buyers will need to go through the process of applying for a mortgage, which means getting pre-qualified at a mortgage finincing institution. The biggest factor in determining your loan amount and interest rate is your credit report. Credit reports are kept by the three major credit agencies, Experian, Equifax, and TransUnion. They show lenders whether you are habitually late with payments and whether you have run into serious credit problems in the past. A credit score is a number calculated from a formula created by Fair Isaac based on the information in your credit report. You have three different credit scores, one for each of your credit reports. A low credit score may hurt your chances for getting the best interest rate, or getting financing at all, so get a copy of your reports and know your credit scores. Errors are common. If you find any, contact the agencies directly to correct them, which can take two or three months to resolve. If the report is accurate but shows past problems, be prepared to explain them to a loan officer. Step 2. Set your budget. Next, you need to determine how much house you can afford, and you can start with an online mortgage calculator. For a more accurate figure, ask to be pre-approved by a lender, who will look at your income, debt, and credit to determine the kind of loan that best fits your unique situation. The rule of thumb is to aim for a home that costs about two-and-a-half times your gross annual salary. If you have significant credit card debt or other financial obligations like alimony, then you may need to set your sights lower. Another rule of thumb: All your monthly home payments should not exceed 36% of your gross monthly income. The size of your down payment will also determine how much you can afford. Step 3. Line up cash. Most lenders will require you to come up with cash for your down payment and closing costs. Typically, lenders like to see 20% of the home's price as a down payment. If you can put down more than that, the lender may be willing to approve a larger loan. If you have less, you'll need to find loans that can accommodate you. Other loan options that require little or no down payment are available through various private and public agencies including Fannie Mae, Freddie Mac, the Federal Housing Administration, and the Department of Veterans Affairs. If you qualify for any of these programs, it's possible to pay as little as $0 up front. With a down payment under 20%, you will probably wind up having to pay for private mortgage insurance, a safety net protecting the bank in case you fail to make payments. PMI adds about 0.5% of the total loan amount to your mortgage payments for the year. Once you've considered the down payment, make sure you've got enough to cover fees and closing costs. These may include the appraisal fee, loan fees, attorney's fees, inspection fees, and the cost of a title search. They can easily add up to more than $10,000, and often run to 5% of the mortgage amount. Or course, some or all of these fees can be negotiated into the seller's closing costs depending on the situation. That's why it's important to always work with a Realtor who will ensure the best negotiated deal for you. Step 4. Find an agent. Ledger Purvis agents will always work to reach the best deal for all parties involved whether representing the buyer or seller. If your dream house is listed by an outside agent, we will normally split the commission (5-7% of the selling price) that the seller's agent gets upon sale. Step 5. Search for a home. Use our online home search tool to located the home of your dreams, then schedule to tour the home with your Ledger Purvis agent. Study the neighborhood looking for signs of economic vitality, low unemployment and good incomes, and focus on areas with good schools. Even if you don't have school-age children, when it comes time to sell, you'll find that a strong school system is a major advantage in helping your home retain or gain value. Bring your Amenities Checklist with you to all homes that you visit. Check off which features each house has. Make notes on each home of what you like and dislike. Taking notes and using your checklist will help you later when you can sit down and compare properties. By comparing notes, this will help to prevent you from making an emotional and impulsive decision. Ask your Ledger Purvis agent about the real estate market in the area. For example, if homes are selling close to or even above the asking price, that shows the area is desirable. If you have the flexibility, consider doing your house hunt in the off-season, meaning, generally, the colder months of the year. You'll have less competition and sellers may be more willing to negotiate. Be careful not to choose search criteria that are too restrictive. For example, select a price range 10% above and 10% below your true range. Add a 10-mile cushion to the location you specify. You should also consider what you are looking for in a home. Decide what features are most important to you in a home. By establishing your criteria, you will save time shopping for homes that do not meet your needs. When making an amenities list, determine which criteria you absolutely cannot live without and which ones you are willing to budge on. How many bedrooms will you need? How many bathrooms? Do you require a garage or home office space? Is a swimming pool a must have? Step 6. Make an offer. 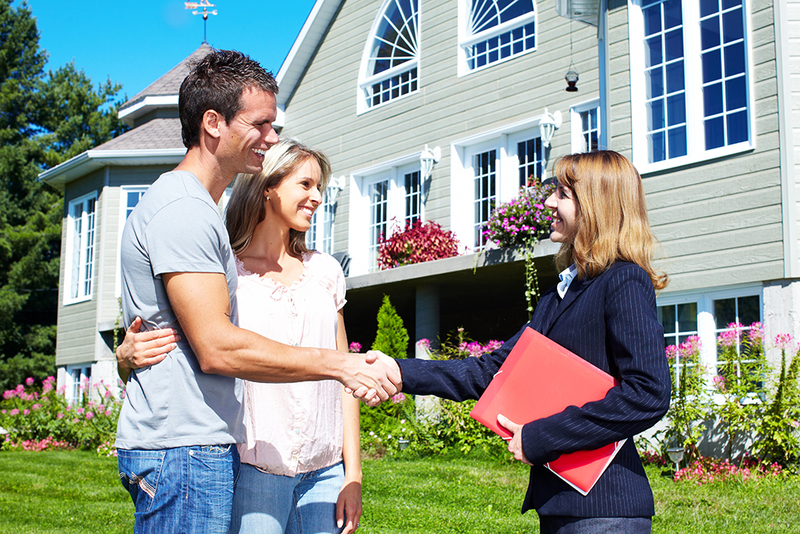 Once you and your Ledger Purvis agent locate your dream home, move quickly to make your bid. Get your agent's advice from him or her on an initial offer by analyzing comparable homes in the area. Try to line up data on at least three houses that have sold recently in the neighborhood. These are often referred to as "comps". If you really want the house, don't lowball because the seller may give up in disgust. Remember, that your leverage depends on the pace of the market. In a slow market, you have the upper hand. In a hot market, you may have no advantage at all. There's no foolproof system for negotiating a fair price. Be creative about finding ways to satisfy the seller's needs. For instance, ask if the seller would throw in kitchen and laundry appliances if you meet his price, or take them away in exchange for a lower price. The entire process is negtiable, so there will be plenty of oportunity for give and take. Once you reach a mutually acceptable deal, the seller's agent will draw up an offer to purchase that includes an estimated closing date (usually 45 to 60 days from acceptance of the offer). You also need to make a good-faith deposit prior to entering the contract, usually $500 (or 1% to 10% of the purchase price), that should be deposited into an escrow account. The seller will receive this money after the deal has closed. If the deal falls through, you will get the money back only if you or the home failed any of the contingency clauses. Step 8. Secure a loan. Now call your mortgage broker or lender and move quickly to agree on terms, if you have not already done so. This is when you decide whether to go with the fixed rate or adjustable rate mortgage and whether to pay points. Expect to pay $50 to $75 for a credit check at this point, and another $150, on average to $300 for an appraisal of the home. Most other fees will be due at the closing. If you don't already have one, look into taking out a homeowner's insurance policy too. Most lenders require that you have homeowner's insurance in place or at least a good faith estimate from an insurer before they'll approve your loan. Step 9. Get an inspection. In addition to the appraisal that the mortgage lender will make of your home, you should your potential new home inspected. An inspection costs about $300, on average, and up to $1,000 for a big job and takes two hours or more. Ask to be present during the inspection because you will learn a lot about your house including its overall condition, construction materials, wiring, and heating. If the inspector turns up major problems, like a roof that needs to be replaced, then ask your Ledger Purvis agent to discuss it with the seller. You will either want the seller to fix the problem before you move in, or deduct the cost of the repair from the final price. If the seller won't agree to either remedy you may decide to walk away from the deal, which you can do without penalty if you have that contingency written into the contract. About two days before the actual closing, you will receive a final settlement statement from your lender that lists all the charges you can expect to pay at closing. Review it carefully! It will include things like the cost of title insurance that protects you and the lender from any claims someone may make regarding ownership of your property. The cost of title insurance varies greatly from state to state but usually comes in at less than 1% of the home's price. The lender usually require you to establish an escrow account which is used to accrue and pay home owner's insurance policies and property taxes. Lenders may also require deposits of up to two months' worth of payments in case you fall behind on your mortgage. During the closing, details of the sales contract will be explained to you. Your Ledger Purvis agent will be there to help you understand all the particulars. If everything meets your approval, you will sign the contracts to finalize the deal. Congratulations! You are now a new homeowner! Your home specialists at Ledger Purvis Real Estate will assist you throughout the process of buying your dream home in Vicksburg Mississippi or the Central Mississippi region. Call 601-636-3116 you make your home purchase dreams a reality!